At LA Dental Clinic we offer sedative dentistry as an option with all of our dental procedures. Sedative dentistry is becoming incredibly popular. It is no longer used simply for oral surgery and is more commonly being requested for patient comfort and relaxation during dental appointments. 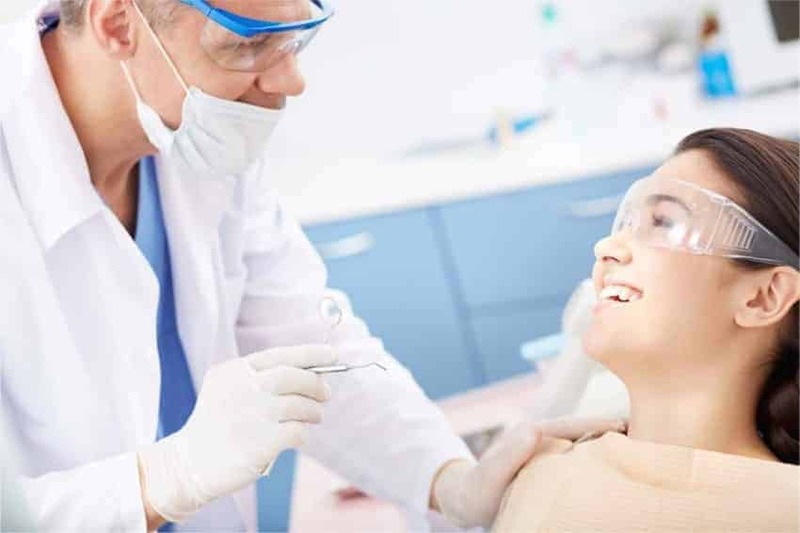 Sedative dentistry is still most commonly used for the more invasive aspects of dental surgery, for example, when you have a tooth extracted. However it can help you breeze through all of your dental visits, for anxiety free procedures. We offer two different types of sedation to best fit your needs. Sedative dentistry is safe for both adults and children. Various levels of sedation can be administered to the patient, depending on multiple factors including the anticipated level of pain or anxiety a patient may face. This is the easiest form of sedation to administer. Patients like it because it does not involve the use of a mask or an IV, it is simply ingested. This kind of sedation can be used in both short or long dental appointments. The patient will not be fully unconscious, they will simply feel very drowsy and relaxed. You can still communicate with your dentist under this form of sedation. It is not recommended that patients drive after because the medication can take longer to wear off. Oral sedation provides accessibility to dental treatments for everyone, including those who may avoid going to the dentist due to anxiety or fear of the dentist. If you would like to learn more about oral sedation, click here. This is our strongest type of sedation offered at LA Dental Clinic. It requires the assistance of an anesthesiologist to administer the treatment and monitor the patient. It involves the use of general anesthetic so you will be fully unconscious. This is perfect for long dental procedures where there will be a considerable amount of work performed. You will awaken right after surgery, however, you cannot drive after IV sedation until the effects have fully worn off. This form of sedation is also ideal for patients who have difficulty keeping their mouth open. It can be also ideal for those who have a strong gag reflex that prevents them from being able to get dental work done. Someone will have to pick you up from the dental office. IV sedation is often only used for dental surgery that would otherwise be painful for the patient. If you would like to learn more about IV sedation, click here. Is Sedation The Same As Anesthesia? These terms will often be heard together, both sedation and anesthesia calm the patient and create a pain-free environment. At LA Dental Clinic we offer both sedation and anesthesia. Under general anesthesia the patient is fully unconscious. They will feel as though they have gone to sleep. Anesthesia is generally considered to be much stronger than sedatives and it is used mainly for extensive oral surgeries. We offer anesthesia in the form of an IV sedation treatment. When a patient is undergoing a minor surgery or dental procedure, sedatives are a good option. Sedatives are powerful painkillers. They make the patient feel happy, relaxed as well as very drowsy. Under sedatives a patient can breathe on their own and do not need assistance as they are fully conscious. Sedatives can be used in complex or invasive procedures and allow for a fast recovery, as the patient is awake, rather than fully unconscious. You can choose to have sedation done with any of your dental procedures. Yes, sedative dentistry is safe and caters to the patients needs. If you are afraid to visit the dentist, mild sedation may be the key to your appointments. If you are having a minor surgery, moderate levels of sedation can be used to ensure that your experience is pain free. Sedation is very safe because you do not have to go under like you do for more complex surgeries. You will remain conscious for the entire time. This means that there is a far lower chance of complications because your body doesn’t need assistance in order to function. Your dentist will ask for your detailed medical history and decide whether or not sedative dentistry is right for you. Sometimes, if a patient is taking medication for anxiety or depression, the dentist needs to know because the medication can conflict with certain sedative treatments. All of our dentists, hygienists, and dental assistants are highly trained to administer these sedatives. We monitor all medications and can ensure that you receive the right amount for your body. You can ask any of our dental staff for more information. Are There Side Effects To Sedative Dentistry? The patient may be left feeling tired and groggy after the procedure. The side effects may be more prominent with deeper levels of sedation. Mild sedation often carries no side effects, whereas full sedation (where the patient is unconscious) may take slightly longer, and the patient may feel tired and groggy for a few hours after the appointment. Recovery from any procedure that requires sedation is usually fast, however we advise that on the day of any sedative dental procedure, that the patient have a designated driver, as you are often drowsy after the treatment. Ask us about whether or not sedation dentistry is a good option for you or your family members. It is used widely for many different purposes, including minor procedures to extensive oral surgery. It is perfect for patients with dental anxiety, as well as suitable for children who may be afraid of dental appointments. Give us a call to learn more about your sedative dental options.